Malayalam is the language spoken predominantly in the state of Kerala, in southern India. It is one of the 23 official languages of India, spoken by around 37 million people. A native speaker of Malayalam is called a 'Malayali'. Malayalam is also spoken in Lakshadweep, Mah� (Mayyazhi), Kodagu (Coorg) and areas of Tamil Nadu bordering Kerala. Malayalam is also spoken by some Indian minorities in Malaysia and Singapore. The language belongs to the family of Dravidian languages. The language is closely related to Tamil. However, Malayalam has a script of its own, covering all alphabets of Sanskrit as well as special Dravidian letters. With Tamil, Toda, Kota and Kannada, Malayalam belongs to the southern group of Dravidian languages. Its affinity to Tamil is most striking. Proto-Tamil Malayalam, the common stock of Tamil and Malayalam apparently diverged over a period of four or five centuries from the ninth century on, resulting in the emergence of Malayalam as a language distinct from Tamil. As the language of scholarship and administration Tamil greatly influenced the early development of Malayalam. Later the irresistible inroads the Namboothiris made into the cultural life of Kerala, the trade relationships with Arabs, and the invasion of Kerala by the Portuguese, establishing vassal states accelerated the assimilation of many Romance, Semitic and Indo-Aryan features into Malayalam at different levels spoken by different castes and religious communities like Muslims, Christians, Jews and Hindus. In his Comparative Grammar of Dravidian Languages (1875), Bishop Robert Caldwell argued that Malayalam evolved out of Tamil and that the process took place during the Sangam period (first five centuries A.D.) when Kerala belonged to the larger political unit called Tamilakam, the apogee of Dravidian civilization. "Malayalam" is the longest single-word palindrome in English. The first Malayalam dictionary was compiled by a German missionary, Hermann Gundert (Grandfather of Nobel Laureate German writer Hermann Hesse). The first work published in Europe on Malayalam is Alphabetum grandonico-malabaricum sive samscrudonicum, published in 1772. The types were prepared by Clemente Peani. Malayalam has the largest number of alphabets in entire Dravidian language system. 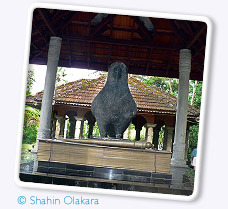 is considered as the Father of the Malayalam language. He was born around 450 years ago in Malappuram district of Kerala Adhyathmaramayanam is the Malayalam version of Ramayana written by Thunchaththu Ramanujan Ezhuthachan in the early 17th Century. It is considered to be a classic of Malayalam literature. Photo shows the Ezhuthachan memorial.